Deanna officially started dancing in a studio setting at the age of three. 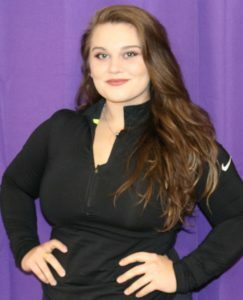 She has extensive training in ballet, tap, jazz, hip-hop, pointe, contemporary, and character styles, as well as acro/tumbling, cheerleading, gymnastics, and Ukrainian folk. She has won numerous awards regionally and nationally for her skill as a competitive dancer since the age of 8. Wanting to learn more about her heritage at this age and grow as a dancer, she partook in “Steps on Broadway” classes and other summer training workshops in New York, where she gained even more knowledge and expertise in contemporary, ballet, character, and Ukrainian folk. She still continues to visit the summer workshops to gain further expertise and to keep up with her abilities. From the age of thirteen she was brought on as a principle dancer in the Ukrainian Dance Ensemble, “Syzokryli,” with which she was able to travel across the globe; their most recent tour traveled throughout Canada in 2016. As she grew as a dancer, Deanna took on the role of instructor as a young teen. She helped to choreograph a top award winning, large group hip-hop number. She also choreographed her own top award winning contemporary solo. As she grew into the instructor she is today, she has helped numerous instructors with award-winning numbers both in Michigan and New York. She hopes to add to her repertoire with the “Kick it Out!” Dance company, and welcomes the excitement and expertise this journey will bring as she starts her 2nd year with KIO.